Achieving the well reported Ketogenic Diet weight loss effect or more pointedly “fat loss” that has been getting around for the last few decades (mostly thanks to the Atkins Diet and other variations) isn’t nearly as hard as some make-out. A lot of people sabotage their fat loss efforts with a one track mind approach. They’re goals; induce ketosis weight loss rapidly at the last minute and appear fit at any cost. The furthest thing from their minds is maintaining a healthy body inside and out.That approach cannot be kept up for long, nor should it be. Malnutrition, fatigue, and bad moods are what low-fat, food-pyramid diets achieve. For a keto diet, it’s as simple as getting into a state of ketosis. Weight loss will naturally follow, whether you do it right or wrong. But when you start the ketogenic diet and get into ketosis “responsibly” you will see a myriad of other health benefits. Not only will ketosis be easy to maintain, you’ll also begin to gravitate subconsciously towards staying in ketosis. Weight loss will merely become a bi-product as you enhance your cognition, stabilize your moods and give you a certain enduring type of energy. The Ketogenic Diet Weight loss and Ketosis, when done properly is not painful. So even though being in a state of ketosis is key to weight loss on a keto diet, it isn’t a diet for the short term. Being used as a “quick fix” is where the ketogenic diet, weight loss associated with it, and the avoidable side effects of the ketogenic diet gets a bad wrap. See our How To Prevent Keto Flu & Symptoms [infographic] for more info on preventing ketogenic diet side effects. Ketosis, Weight Loss, Bodybuilding and a Bad Wrap! In years gone by and to this day a lot of competitive bodybuilders and those looking to achieve a ripped physique “fast” (or for whatever aesthetic reason) have turned to a ketogenic diet to help them shed water weight and those last bits of fat between their muscles quickly. 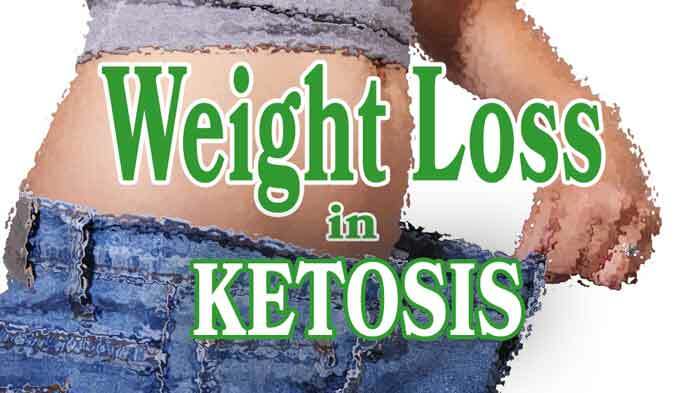 The ketogenic diets weight loss effects don’t fail them in this aspect; ketosis delivers. However, the fashion in which these guys and girls go about getting to ketosis and the weight loss that is inevitable has them whining and complaining about the fatigue, headaches and flu-like symptoms called, “keto flu” (which you can read more about here). It’s little wonder with the haphazard manner in which they approached ketosis that they felt so ill and turned off by it. All that moaning does the ketogenic diet no justice and is frankly unwarranted. A lot of people seeking to lose weight, get fitter or look better admire the aesthetics of bodybuilders or figure models and look to them for advice. They’ve met with anything but positive things about the keto diet and frightened off by horror stories of the side effects. The short duration in which they undertake a keto diet in the first place. A ketogenic diet isn’t a quick fix, its a healthy way of eating rather than just a diet to lose weight. It has cardiovascular and cognitive benefits amongst other huge benefits in disease prevention. Most bodybuilders or people who need to get as cut and lean as possible for competition (many fighters who must make weight), rid themselves of sodium and other minerals that would fatigue anyone on any diet, let alone those on a ketogenic diet. If you want to sustain ketosis and the diet for the long term you should make it a big part of your diet to get all the essential electrolytes needed for energy and focus. Your body no longer accumulates things such as sodium (the bodies primary electrolyte), like carbohydrates used to force it. Your body has become much more efficient in ketosis and constantly flushes old minerals and toxins in expectancy of new ones. Get Ketogenic you won’t regret it. The Ketogenic diet is one that is very easy to maintain. So get yourself into the ketosis weight loss zone responsibly, fat loss will follow, educate yourself, read and research the real science and follow the professionals at the top of their game. If you’re eating a Ketogenic Diet and wondering whether you in Ketosis, a good ketone meter will help you on your way and give you an idea on what impact, certain foods have on you. Be aware of the goals and knowledge of the people you seek advice from. (The majority of gym talk is just bro-science and gossip. Did they get that body by diet alone??). Don’t starve and keep your body nourished within the macronutrients as outlined here, the ketogenic diet weight loss effects, ketosis, and focus will be inevitable. A greater sense of general well-being will come to you, and it will show. Stay Healthy!